Seeing the magnificent Iguazú Falls was the nicest way to end our adventure in Brazil. 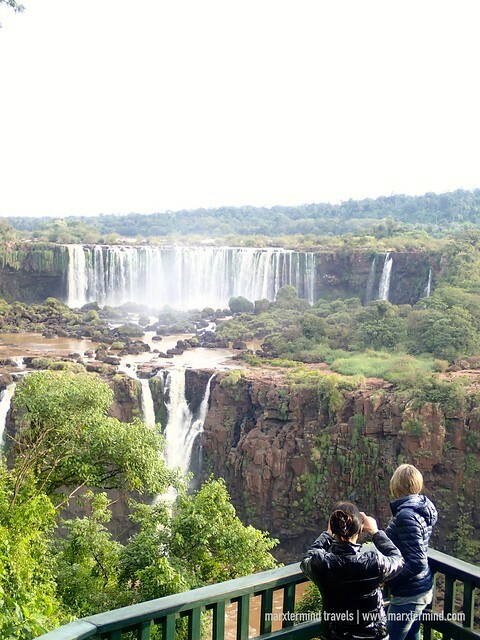 After spending three weeks in the country, we traveled to Foz do Iguaçu and spent a few days to see the world’s largest and most impressive waterfalls. 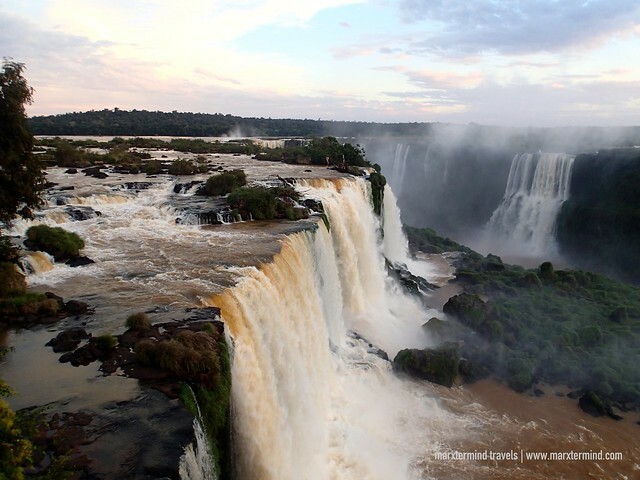 One of the great natural wonders of the world, the Iguazú Falls are situated near the border of Brazil, Paraguay, and Argentina. 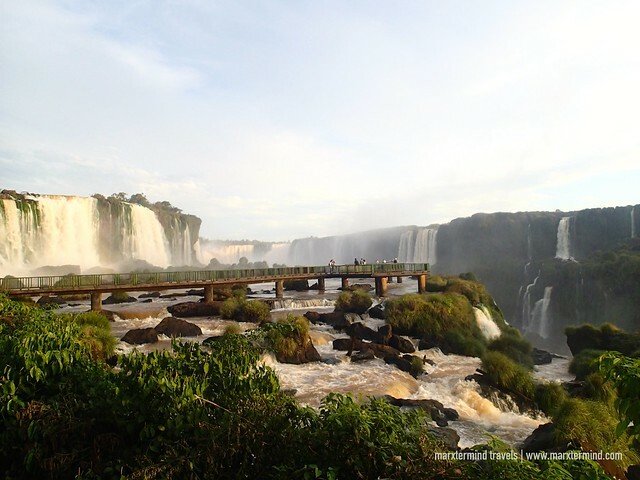 The waterfalls are viewable from both Argentina and Brazil. It’s a mesmerizing sight that has 275 separate falls formed in a U-shape. This place is astounding attracting tourists and locals alike. It was already late afternoon when my buddy and I went out of our hotel and decided to go to Iguaçu National Park, where the massive waterfalls system is. We thought we wouldn’t be able to visit it anymore because of the long hours that we waited for a local bus to arrive at the terminal. It was already around 3:00 PM when we were able to catch a ride going to the town center. It worried me if we could still make it because the park closes at 5:00 PM. From the town center, we rode another one that goes to the national park. It was an hour before the park closes when we arrived. I thought we would be missing seeing these amazing waterfalls. We only had an hour or so to explore and see the waterfalls so we went to the ticket counter immediately. We paid for the entrance fee of R$63 (~US$ 20) each. The ticket includes access to the park and roundtrip transfer to get to the waterfalls. There were only few visitors boarded the shuttle that time. I wondered why there were only few people. But in the back of my mind, it was a good timing. The waterfalls might not be crowded this time around already. After a 10-minute drive, the bus dropped us in a viewing deck that seems like the starting point to explore and view the massive waterfalls. I was in awe seeing the waterfalls. I thought that was the highlight already but we learned that it was just part of the waterfalls system. We then followed the path where the other visitors also went. It is a long trail with beautiful surroundings. Walking along the pathway was enjoyable because of the amazing view and some stops that are good for photographs. 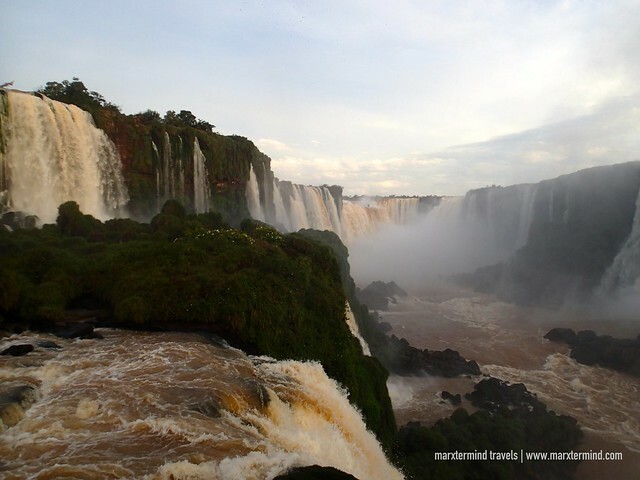 Iguaçu National Park is where visitors can go to view the Brazil side of this chain of waterfalls. The park is also a UNESCO World Heritage Site. It is also home to many rare and endangered species of flora and fauna. Sunset was already nearing so I walked quickly to get to the end part of the path. There I found the most stunning waterfalls that I’ve seen in my life. 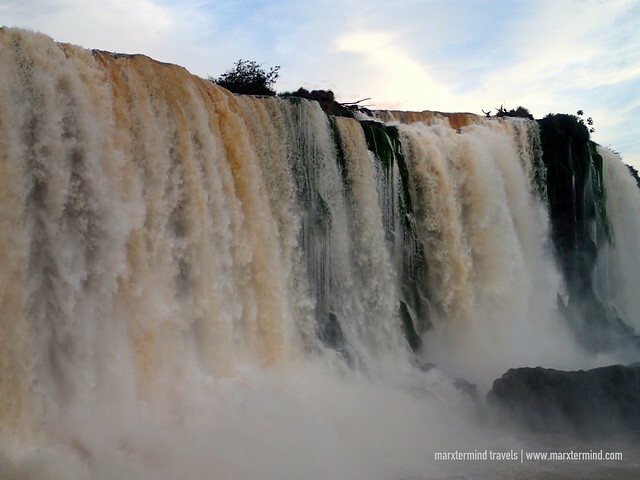 Seeing Iguazú Falls was a jaw dropping moment. It’s so powerful. Hearing the sound of the cascades made me more excited to see the waterfalls up close. 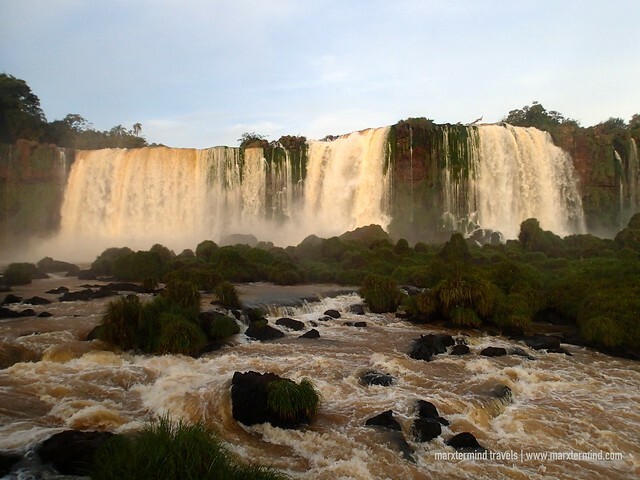 Iguazú Falls is truly breathtaking. It is one of the world’s most awe-inspiring sights. It was after sunset when my buddy and I decided to go. There were only few people around – and the bus shuttle was already about to leave. We can go back to the park entrance on foot if we want to but it would be a long hike. Visiting Iguazú Falls on our last few days in Brazil was perfect to complete our trip. It was a wonderful sight to see. It was an amazing experience to see how beautiful and powerful nature can be. Definitely, this place is a must-see in Brazil.